In addition to private sessions, we offer group coaching. If you are in New York and want an immersion into wellness, sign up for our Healthy Jumpstart Shopping Tour. For more on coaching, read Coaching FAQs. 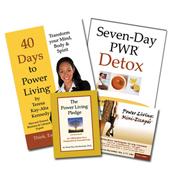 If you still have questions, email coaching@power-living.com or call 212-901-6913. If you are ready to go, find out how to get started today!